Experience the cowboy way of life with this Authentic Dude Ranch Experience. Spend three days and two nights at the Stagecoach Trails Guest Ranch, located in Northwest Arizona in the Mohave desert. Step back in time at this mini old western town. 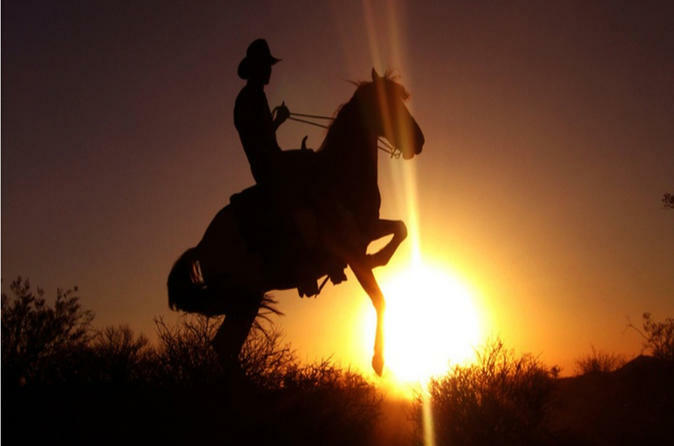 Enjoy horseback riding and explore unspoiled desert scenery, providing a quiet and peaceful atmosphere without city lights and noisy traffic. At the end of the day, relax and gaze at the starry skies or enjoy fireside conversations with new friends. Meals and lodging are included.